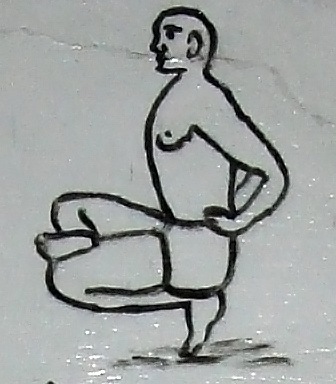 Sit with fingers of the left foot on the ground and the right leg over the left leg. Put hands on waist. Try to balance body. 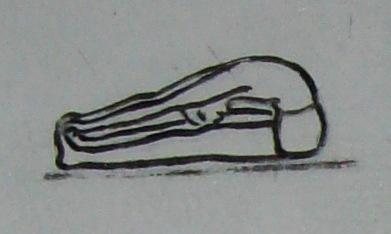 Keep legs parallel to the ground as shown above. Keep body straight and vertical and the abdomen pressed inward. Beneficial in the observance of celibacy (Brahmacharya). Sit and stretch legs forward. Touch the feet with hand and the knees with the forehead without any jerky movements. Do not raise knees. Do this four or five times and you would see that after a few days, your body has become more elastic. Improves digestion and cures constipation. Beneficial for legs, waist, stomach, liver and spleen. Reduces the body weight and increases mental ability. 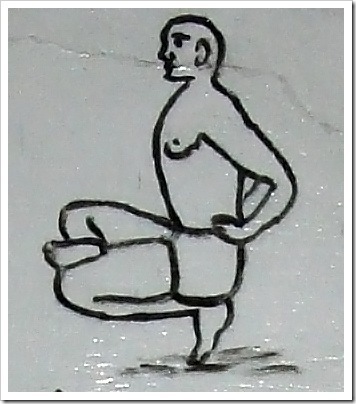 Increases the elasticity of the spine, thereby giving perennial youth.